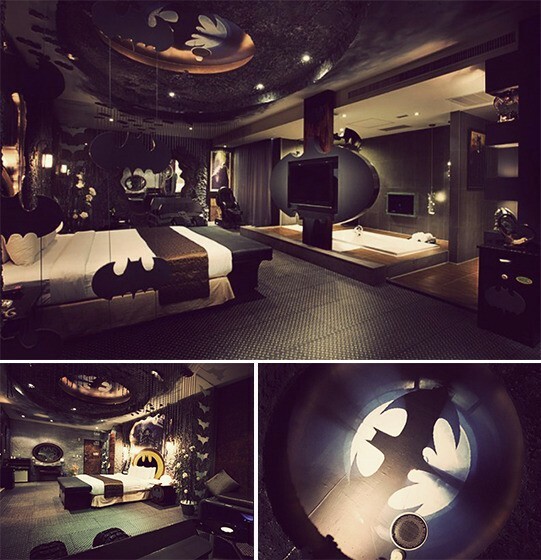 Collection of the 'Most Creative Bedroom Ideas' from all over the world. 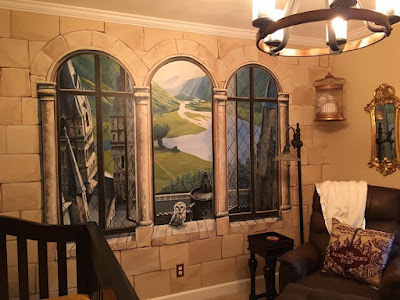 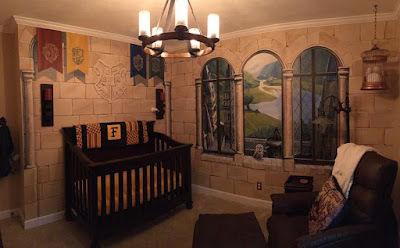 Harry Potter Themed Nursery Room: Harry Potter has made an everlasting impression on most of us. 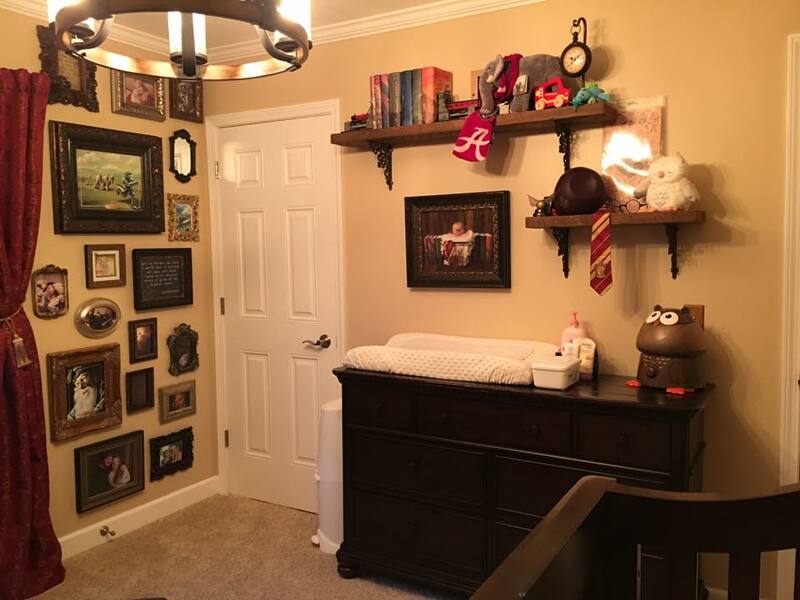 Illinois-based parents, Kaycee and Casey created this Harry Potter-themed room for their 7-month-old. 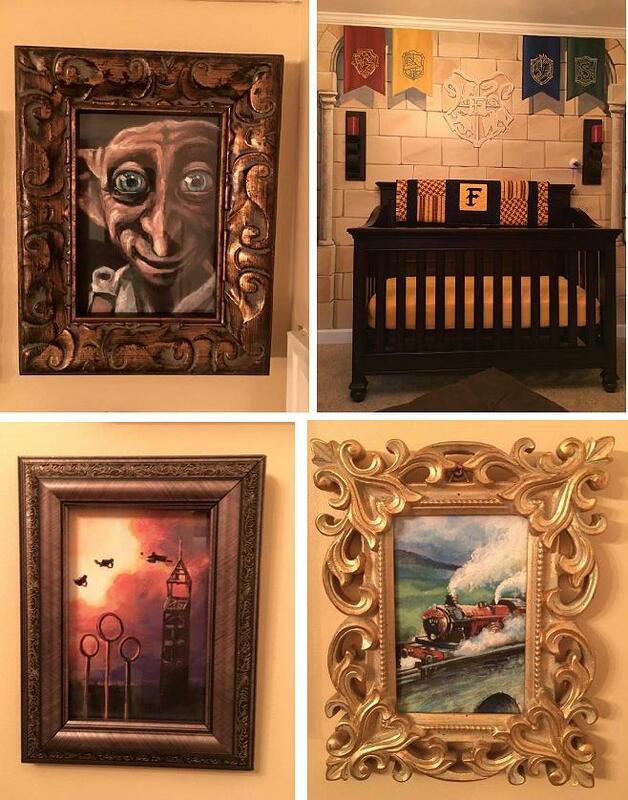 It features flags from all four Hogwarts houses, various paintings, Harry Potter-themed blankets, artwork, mural and lot more, just creating the Hogwarts experience for the little one. 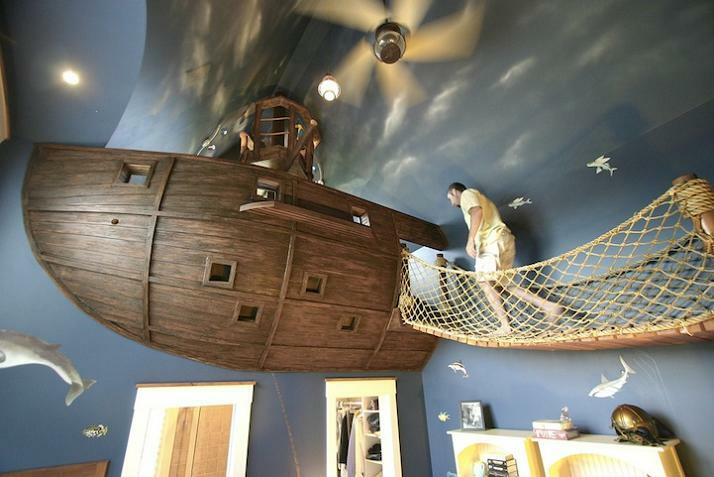 Ultimate Ship Bedroom: Once we saw these images of awesome ship bedroom, we remembered at once Caption Jack Sparrow and Black Pearl; and before we knew Caption Jack Sparrow, had we seen these then we are sure we would have remembered Captain Hook and Peter Pan. 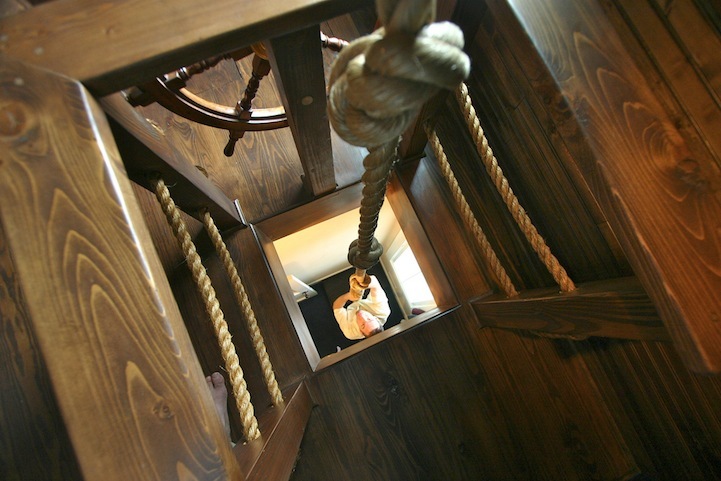 The most awesome feature of the bedroom is its floating ship, the room is also decked out with a rope bridge that connects the ship to the top, and a rope from the ship's hull provides drop-in access to the closet. And if you want to travel downstairs in a more adventurous way there is a completely hidden spiral slide. 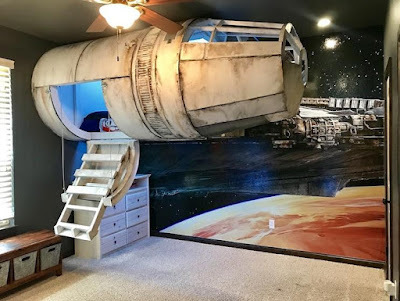 Starwars Themed Bedroom: Redditor Dericrw and his wife built this awesome Starwars Themed Bedroom to get their son to sleep in his bedroom. The sleeping pod is modeled after the Millennium Falcon; it features a twin-sized bed, TV, and lots of Starwars stuff to fend off any bad dreams. 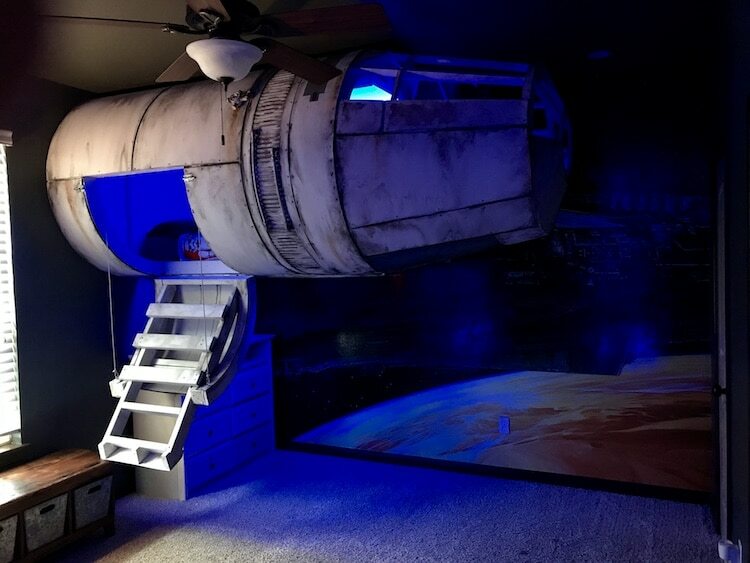 The pod is five feet off the floor while the interior space is four feet tall, 10 feet long, and approximately five feet wide. 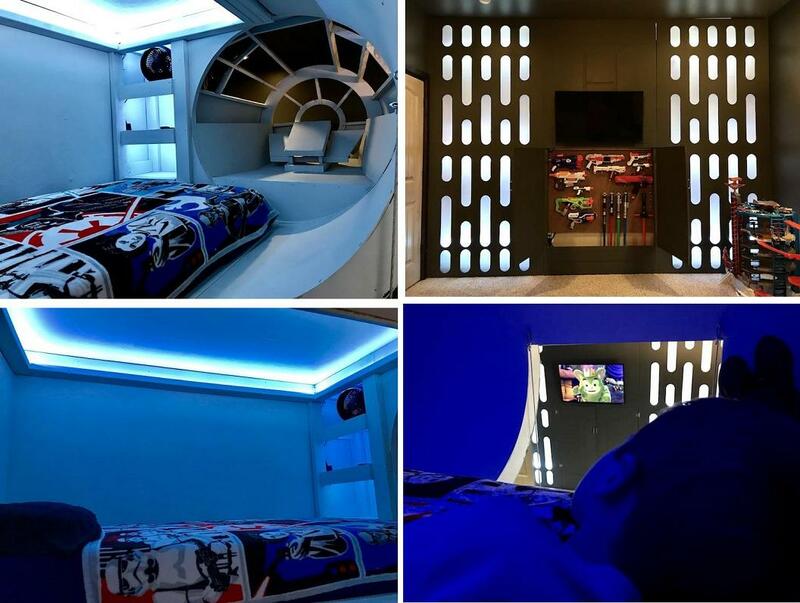 It has color-changing lights, air circulation, making it just the place kids need to sleep or just relax. Peter Pan Themed Bedroom: Now when it comes to Disney inspired then Tinker Bell and Peter Pan holds an importance place. 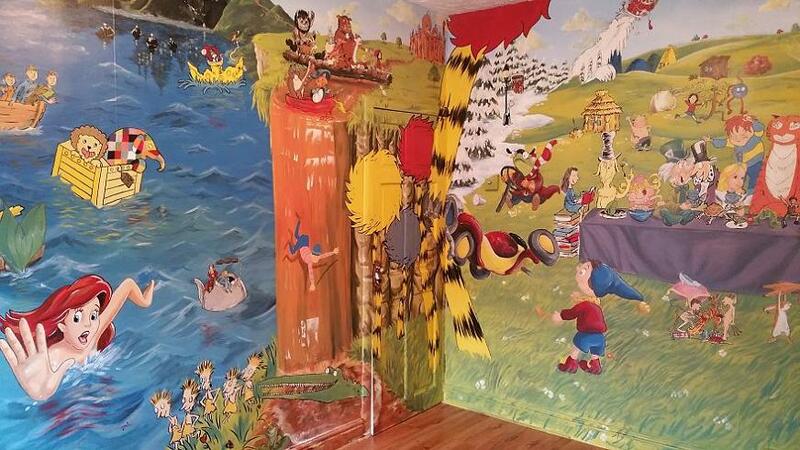 Then how can we forget Captain Hook? 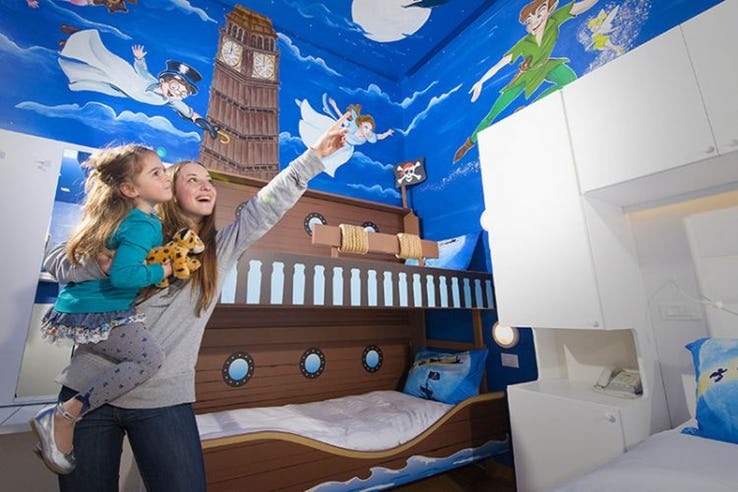 The bedroom has a bed that actually looks like Captain Hook's ship, wall art, and lot more that is sure to make one desire once again to be a kid. 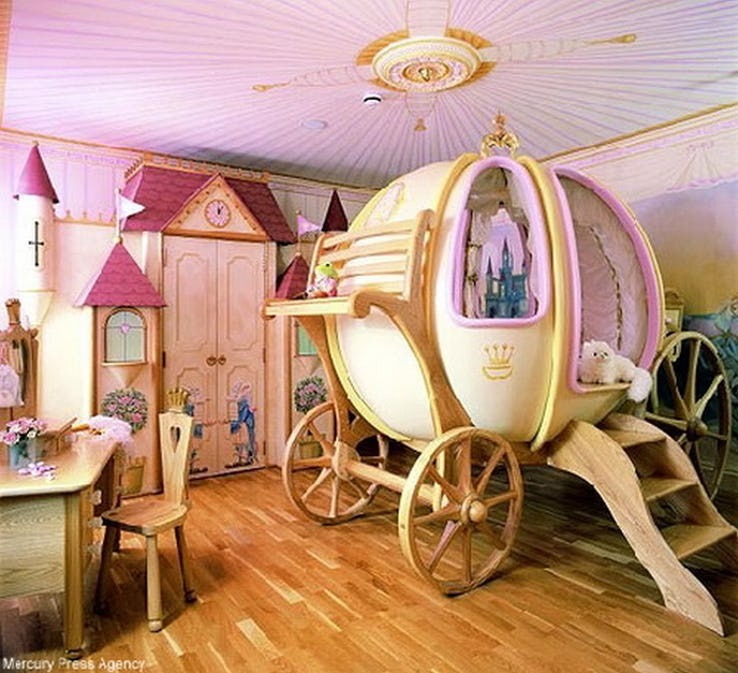 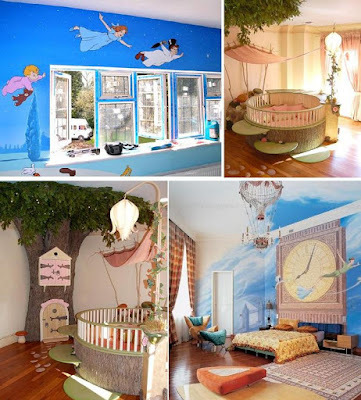 Fairytale-Themed Room: The Fairytale-Themed Room was created to encourage 2-years-old to read. 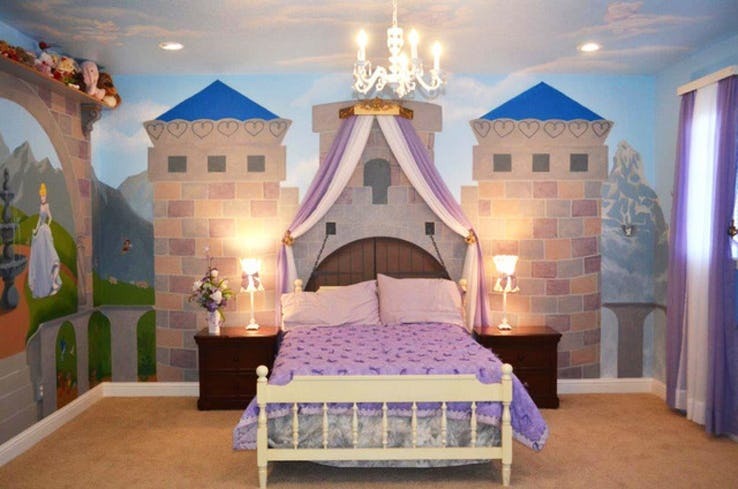 Cinderella Themed Bedroom: When it comes to Disney Princesses, Cinderella deserves a special mention and which little princesses wouldn't want a Cinderella Themed Bedroom. 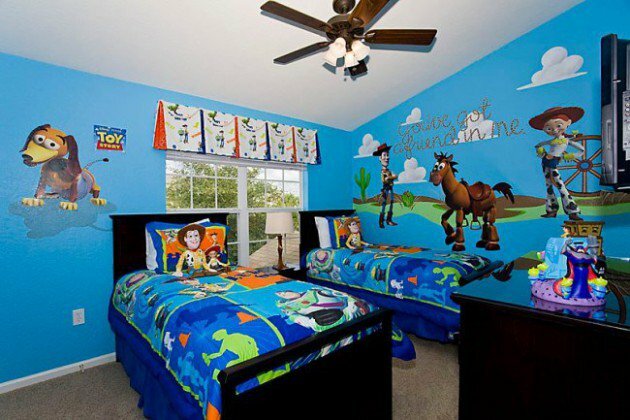 Goofy Themed Bedroom: Goofy has been mostly characterized as dimwitted and clumsy. 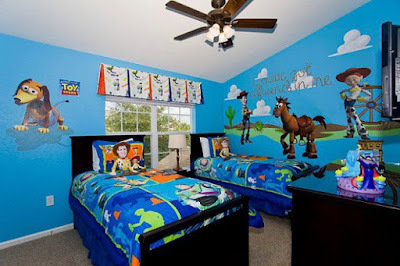 But when it comes to friendship, he is a close friend of Mickey Mouse and Donald Duck. 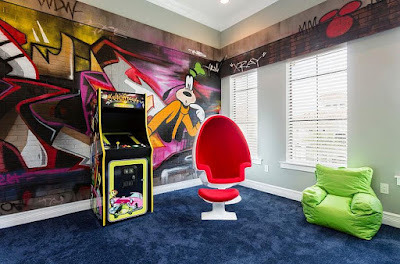 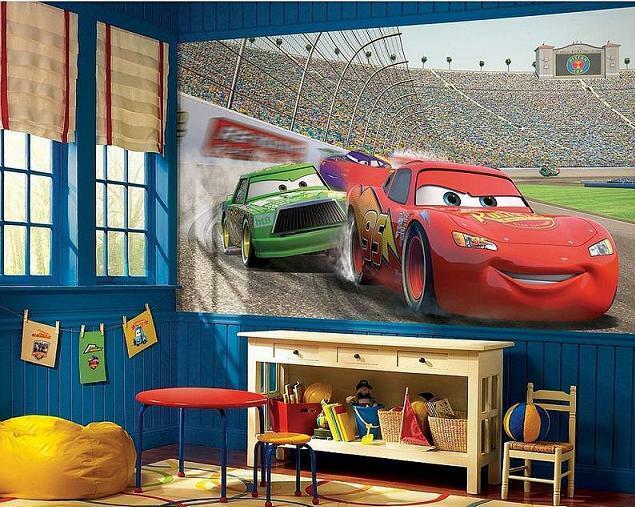 Mickey Mouse Themed Bedroom: Mickey Mouse is one of the world's most recognizable characters and over the decades he still holds a special place. Donald Duck Themed Bedroom: Donald Duck with his sailor shirt and cap with a bow tie and mischievous and temperamental personality is well known. 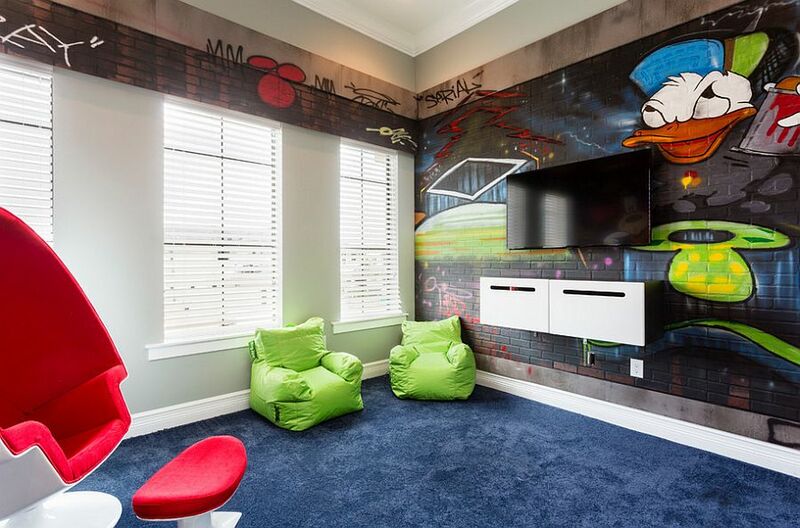 As a matter of fact he wasn't much of a positive influence on the Junior Woodchucks - Huey, Dewey And Louie. 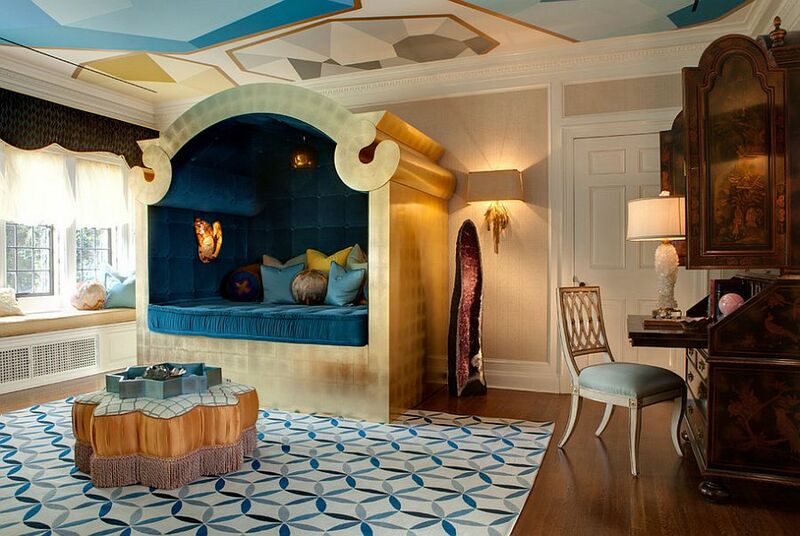 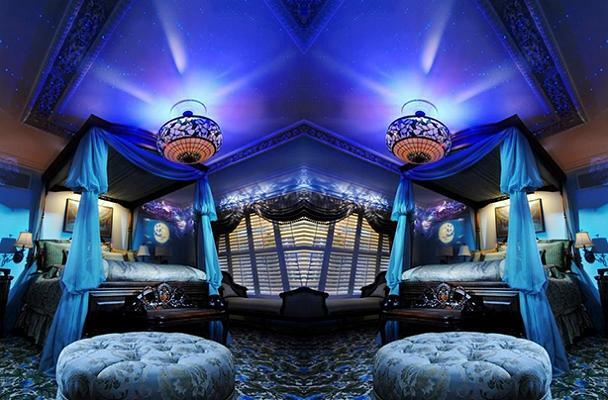 Mediterranean Themed Bedroom: This bedroom does remind us of Princess Jasmine, Aladdin and definitely Jafar. 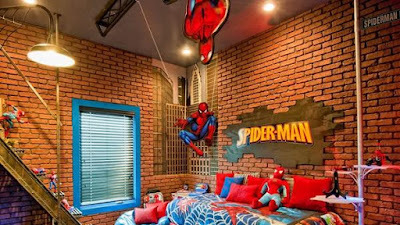 Spiderman Themed Bedroom: The Spiderman inspired bedroom looks just awesome and the brick walls gave the needed touch of perfection.